Sergey Karjakin joined Magnus Carlsen in first place at the Gashimov Memorial in Shamkir, Azerbaijan. The Russian grandmaster used deep preparation and great endgame technique to beat Viswanathan Anand. 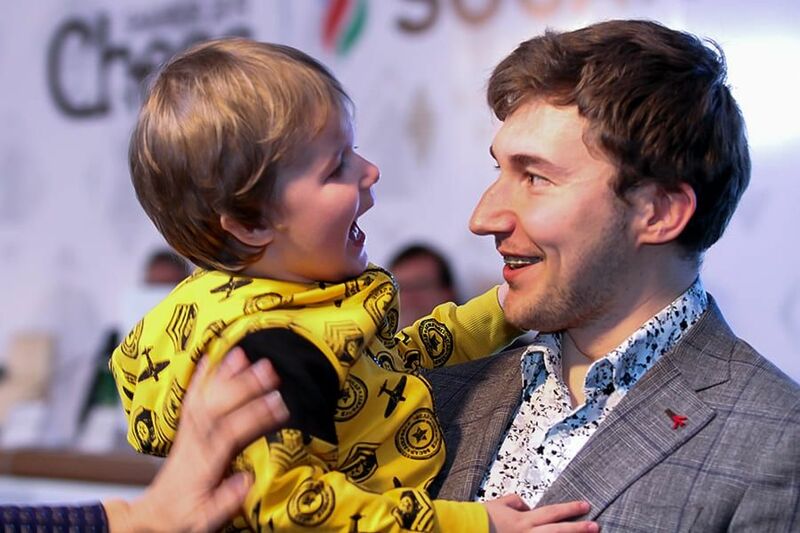 During the round, Sergey Karjakin‘s wife Galiya and his oldest son Alexei had arrived in Shamkir and so it was in the press room where the family first saw each other again. When his father came in, the little boy interrupted the commentary and shouted “papa! !” before being picked up.